Treating yourself to a luxurious manicure or pedicure is the ultimate experience. Professional nail jobs enhance a deep relaxation that can melt away the cares and stresses of a person’s life. However, treating yourself to one of life’s simple pleasures should not result in pain. We’ve been horrified by the disasters we’re seeing from those manicure/pedicure “salons”.. so we decided to create our own MEDICAL-GRADE salon, Medicure Hand and Foot Spa. Millions of women (and men) get their nails treated in professional salons every year. Most come into the salon and leave the salon with no problem and beautiful, healthy nails. But the sheer volume of people who go to nail salons means that some of these people may unknowingly bring nail fungus into the salon. 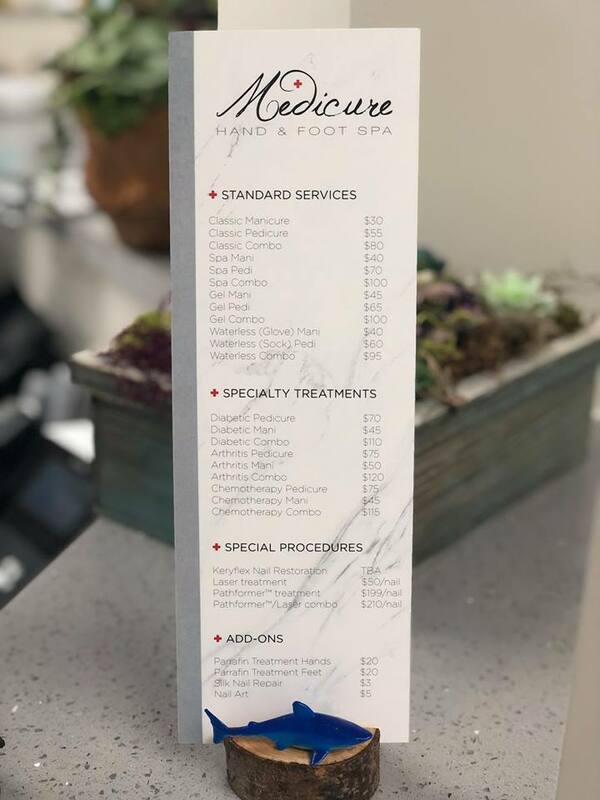 Medicure offers manicures and pedicures in a hospital-clean environment. The experienced and skilled podiatrists at JAWS podiatry in Hollywood, Florida offer the highest degree of care in a welcoming, comfortable environment. Please contact us online or call us at (954) 922-7333 to schedule a consultation.